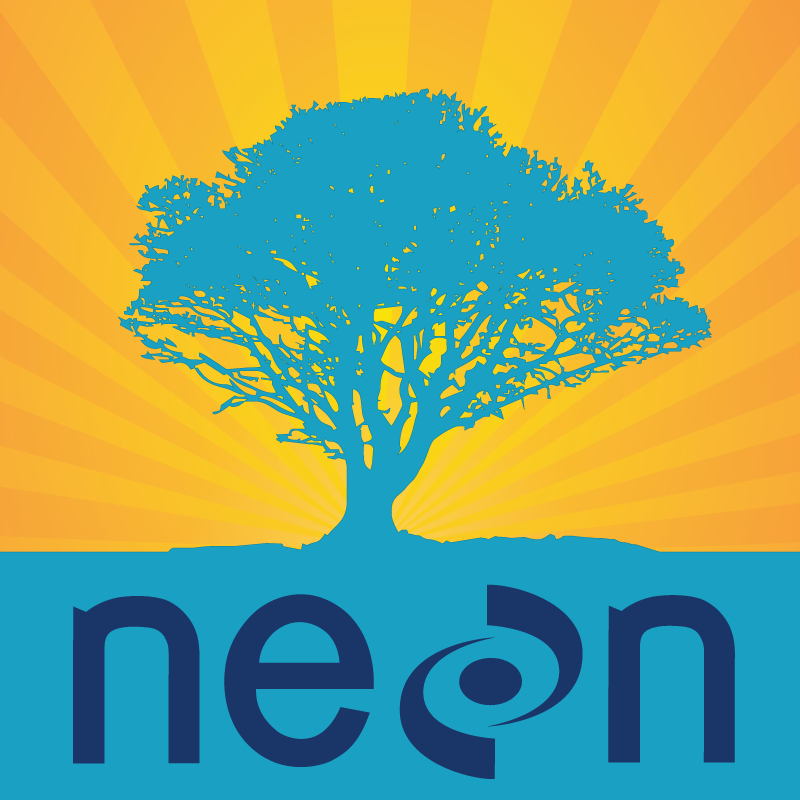 Devoted to open data and open source in science and education. HTML rendered of this Rmd: bbest.github.io/NEON-DC-DataLesson-Hackathon/code/group05_visualization.html. Outputting to different formats: pdf, png w/ resolution. html/pdf. Color ramps. Choosing color ramps for types of data: categorical, continuous. - divergent. colorblind. Best practice for this data. Link out to more. How to import rasters into R using the raster library. How to perform raster calculations in R.
## Warning: Removed 2 rows containing missing values (geom_point). ##The title of each raster starts will a three digit number that indicates the day of year. ##We can manualy input it or we can use str_extract pull the information using regular expressions. 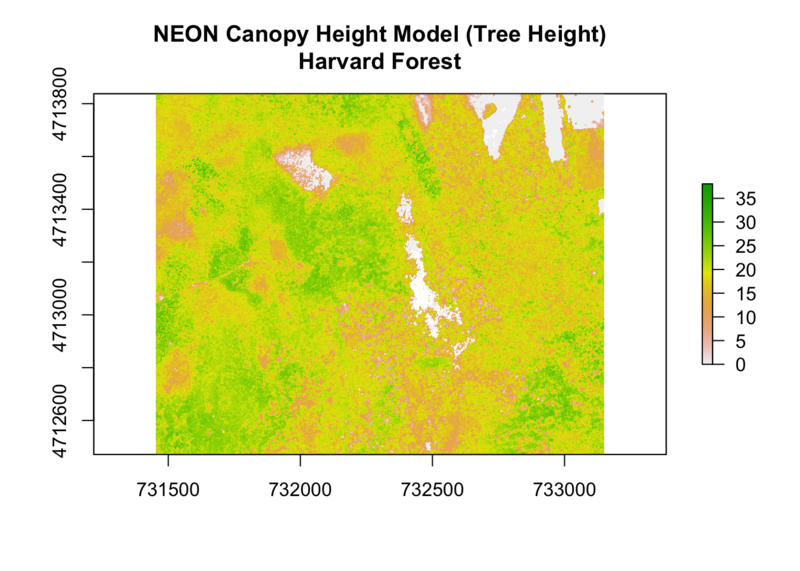 ## Ploting Time series data with emphasis on the year we have NDVI data for, 2011. ## Initial plot call defines the plotting region based on all of the data within the plot. ## In this plot we are not going plot the data, type = 'n', label the plot, or add axes. # Add all of the data points to the plot. #Highlight data at one day of year. 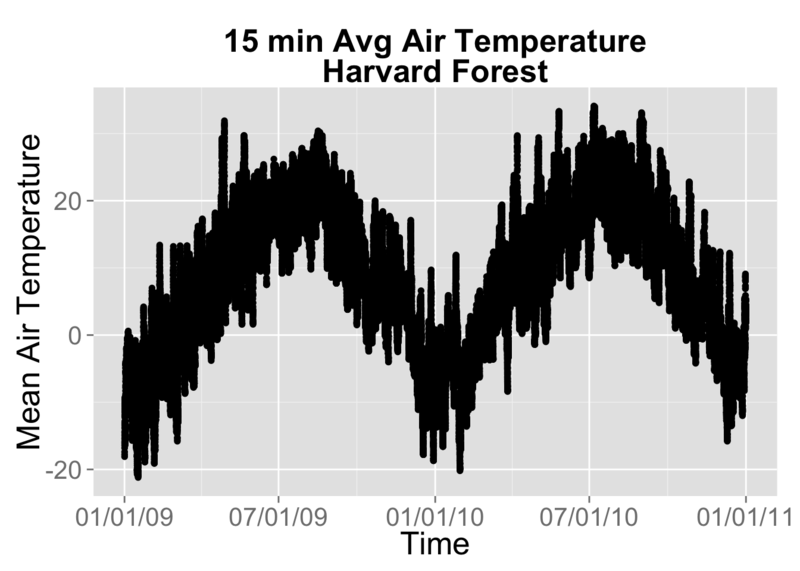 And here’s how we would take the above plot and wrap it into a function for future use with the animated GIF. TODO: Explain function and rationale for later. xlab="Day of Year",ylab="Temperature (C)",main = "30 Day Mean Temperature"
It’s time for the animator! (not the terminator). Here’s how to animate three plotting functions for a single animated gif. 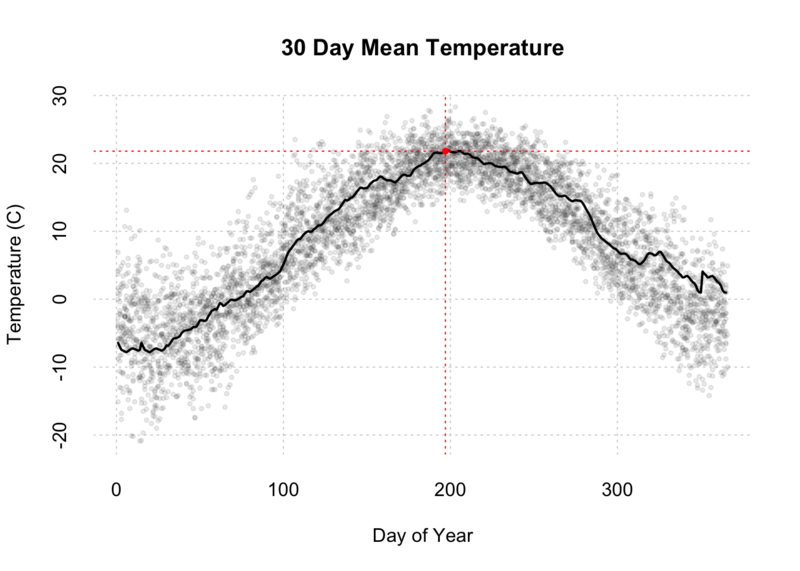 title(xlab="Day of Year",ylab="",main = "30 Day Mean Temperature (C)"
Better yet, let’s create functions to do the work so we can have more readable code with less repetition.